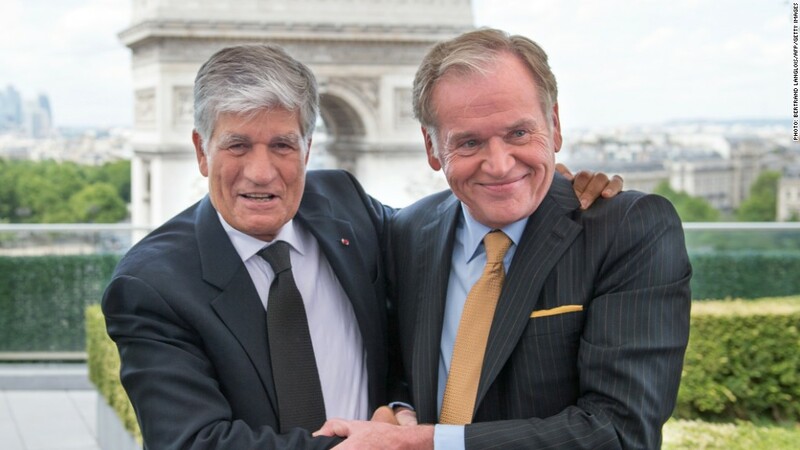 Publicis Groupe CEO Maurice Levy and Omnicom Group CEO John Wren. It would have been the biggest advertising company the world has ever seen. But now Omnicom Group and Publicis Groupe have called off their merger, citing "difficulties in completing the transaction within a reasonable timeframe." Neither company will pay a termination fee as they go their separate ways. A Twitter message from Omnicom's corporate account on Thursday night stated, "We concluded the challenges and risks related to corporate culture, complexity and time outweighed the potential benefits of the merger." Few mergers have been announced with such fanfare -- and at so high a price -- only to be scuttled along the way. The combined company would have been valued at roughly $35 billion. Most advertising agencies around the world are owned by one of four holding companies. Omnicom and Publicis are two of them; the other two are WPP and Interpublic. Omnicom and Publicis announced a plan for what they called a "merger of equals" last July and said the pact would benefit clients like PepsiCo (PEP), AT&T (T) and Nissan (NSANF) (on the Omnicom side) and Coca-Cola (KO), Verizon (VZ) and General Motors (GM) (on the Publicis side). Back then, the companies said the deal was "expected to close in the fourth quarter of 2013 or the first quarter of 2014." In February, however, Omnicom chief executive John Wren told analysts that "this transaction is highly complex and is taking longer than we originally expected." The decision to call off the deal came after unanimous votes of the boards of both companies. "A mix of clashing personalities, disagreements over how the companies would be integrated and complications over legal and tax issues derailed the deal," The New York Times reported. Wren and the chief executive of Publicis, Maurice Lévy, said in a joint statement on Thursday night that "the challenges that still remained to be overcome, in addition to the slow pace of progress, created a level of uncertainty detrimental to the interests of both groups and their employees, clients and shareholders." The statement concluded, "We have thus jointly decided to proceed along our independent paths. We, of course, remain competitors, but maintain a great respect for one another."